This was the 3rd game on the Saturday, and usually that's the one for me where fatigue normally sets in, before I seem to get a second wind for the last game of the day under floodlights. Unlike their midland based namesakes Cadbury Athletic, this team has nothing to do with the chocolate brand and are instead based in the Cadbury Heath area of Bristol. It would be the highlight of me as a cider drinker, the nearby King William IV pub reportedly offering a great selection, though my intake would be restricted by my driving duties. 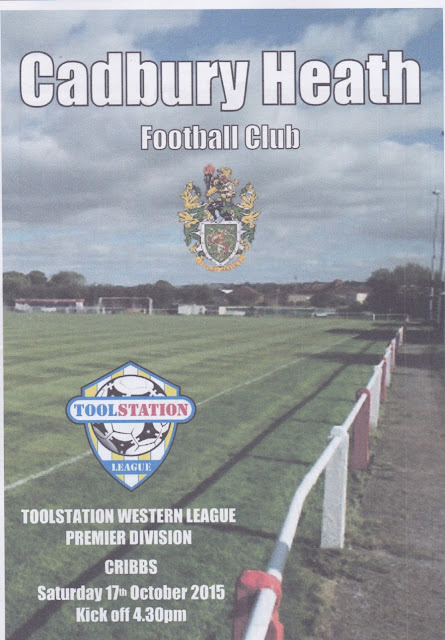 CADBURY HEATH FC were formed in 1894. 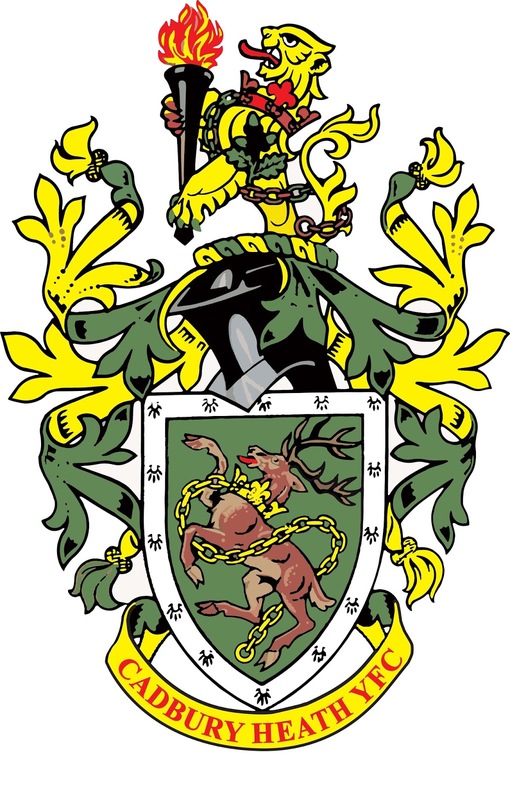 After playing in the Gloucestershire County League for much of their existence they joined the Western League in 2000. Starting at Division 1 level they struggled at first, but things gradually improved and they were champions in 2012. 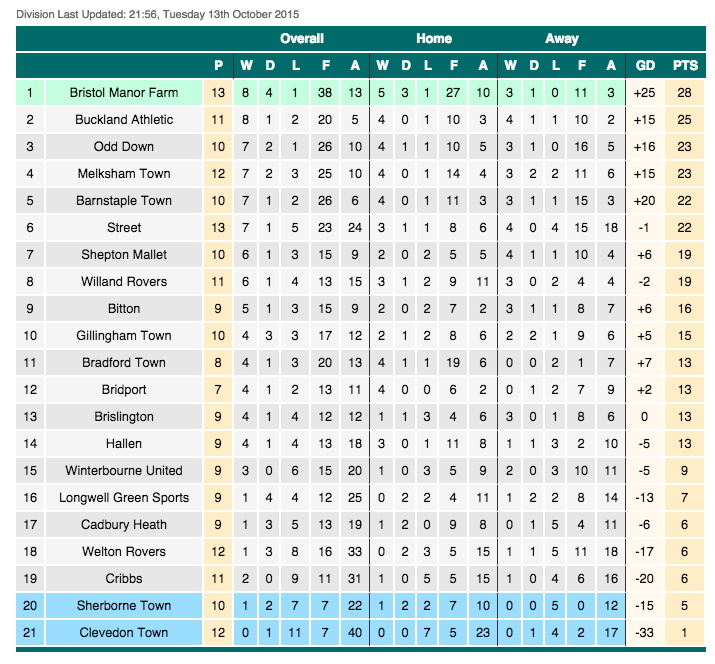 This earned them promotion to the Premier Division, where they finished a best ever 4th place in their first season. Since then, 2 mid table finishes have followed with them sitting in 17th at the time of the game, though still being unbeaten at home. In the FA Cup, their best season came in 2011/12 when they beat Corsham, Slimbridge and Bishop Sutton before a comprehensive 4-0 defeat to Poole Town in the 2nd Qualifying Round. The FA Vase Quarter Finals were reached in 1976, with another good run occurring in 2010/11 when they reached the 4th Round. The club were also runners up in the Les Phillips Cup that season as they lost to Ilfracombe Town in the final. 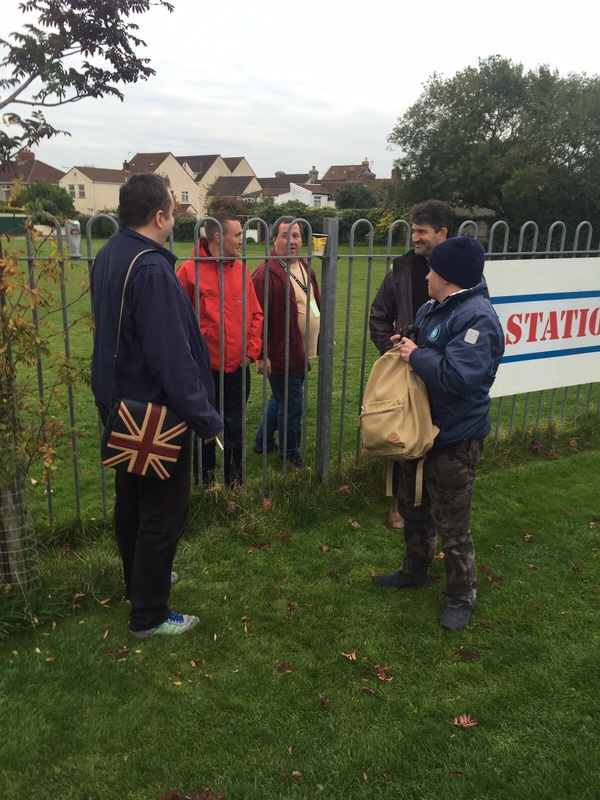 It was just a short mile trip to the next game at Cadbury Heath. During the last game I'd learned that Wycombe were 1-0 down to Stevenage. Nothing shocking about that, only the fact that it was the Stevenage keeper who had scored. It bought back memories of Scott Barratt scoring for bitter rivals Colchester back in my first season of 1991/92. We gained 94 points from 42 games that season, but lost out on promotion to the Football League on goal difference as there were no playoffs back then. I'd already planned my pub, the King William which was reported to have 10 ciders on tap. I went along with a load of fellow hoppers, including Sussex Hopper. There I had a pint of Taunton Traditional Dry, which I've not had for about 15 years. While we were drinking, there was a huge bang in the pub which made everyone jump. 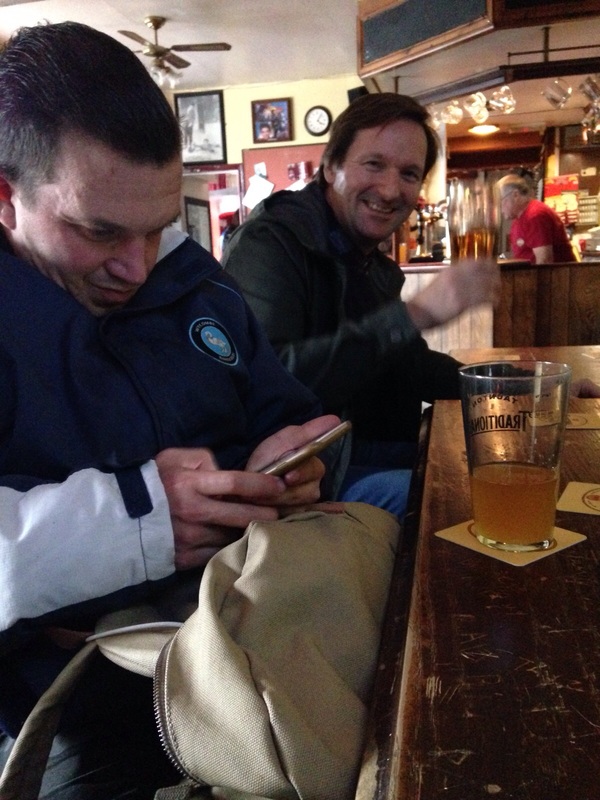 The landlord didn't seem that bothered, looking up before carrying on pouring a pint. It looked a bit of a rough and ready place, but at least I'd had a decent drink. I made my way over to the ground and as I was going in I learned that Wycombe had gone 2-0 down. I had a couple of sausage rolls pre match and that staved off my hunger for a bit. The match started at a quieter tempo than the previous 2. There were not many chances and I guess after 13 goals in the first 2 games, it was destined to end in a disappointing 0-0 draw. So after the double disappointment of Wycombe losing and a poor 3rd game, I made the 10 minute trip to Keynsham. 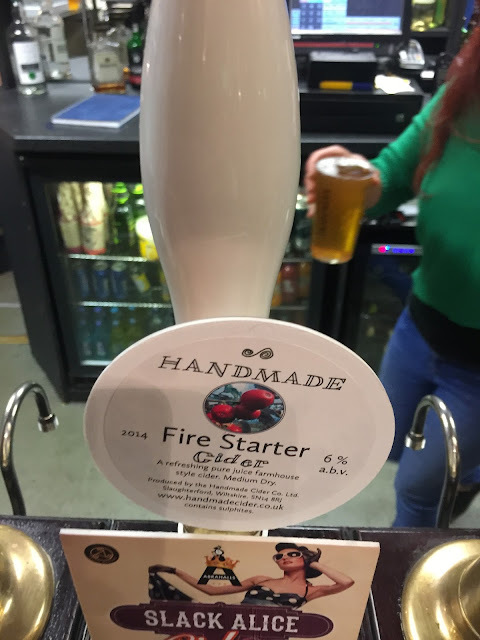 I walked 10 minutes up the road to The Old Bank pub, where I had a pint of Handmade Firestarter cider which was excellent. I was tempted by a second, but knowing I had to drive, decided against it. Though once I got to the ground, having a burger and chips for the cheap price of £2. Frustratingly the data signal was hopeless, something I recalled from my last visit. Despite Keynsham dominating the opening moments it was Westbury United who opened the scoring with a looping header on 7 minutes. Keynsham thought they'd equalised but they had the goal ruled out for offside on 65 minutes. The equaliser eventually came on 70 minutes with a pile driver from around the edge of the area. 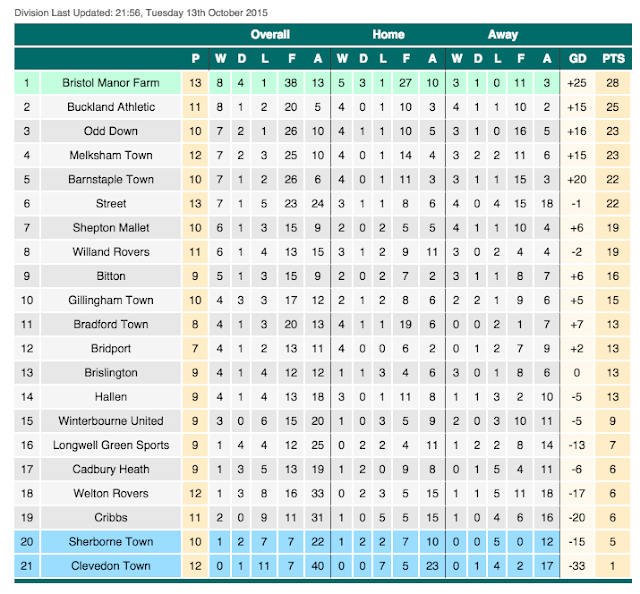 By now Keynsham were well on top and Westbury were clinging on for dear life. They couldn't hold out and Keynsham took the lead on 84 minutes after the striker got ahead of the visiting defence and slotted under the keeper. It looked like a comfortable victory would follow but a spirited Westbury side got a breakaway equaliser on 90 minutes, having ridden their luck for large periods of the game. From there it was a 90 minute drive home, with me getting in at 11.15. I watched the rest of Match Of The Day before struggling to get to sleep just after midnight. With just a few hours sleep, the tiredness the next day was worth it, as it had been a highly enjoyable weekend and a good ending to my week off. SPRINGFIELD is a pretty average venue for this level. All the covered accommodation is on one side, with seats for around 100 and cover for around 150. There are standard tea bar and bar facilities at the ground, with further options a short walk away.